I became aware of my abilities as a small child, and have been in tune with the spirit world all my life. As I grew my interest in nature-based teachings grew with me leading to independent studies in spirituality, world religion and philosophy. I also studied with private shamanic and indigenous spiritual teachers. I’ve been serving as a spiritual teacher and reader for over 5 decades and I will be honored to serve your needs. So let me start out by saying save your dollars and call her! Over the last 10 years at least.. She has accurately predicted my ex husband, and two other men. She said no, every other psychic said, yes. She said, NO! She was right! I didn't like her prediction but it was accurate. Tonight, she called those men accurately again. I am going with her prediction on this new guy as he is a winner! Thank you Cinnamon for being highly accurate. This is my first feedback to her after all my calls to her over the years. She definitely deserves a million stars for politeness and accuracy! I just felt as if our chemistry was not connecting..
CinnamonMoon has been a user of Keen since 2001. 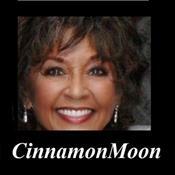 Getting Tarot Readers advice from CinnamonMoon through www.keen.com is safe, secure and confidential.